The Twin Tiers Gets Tromatized! 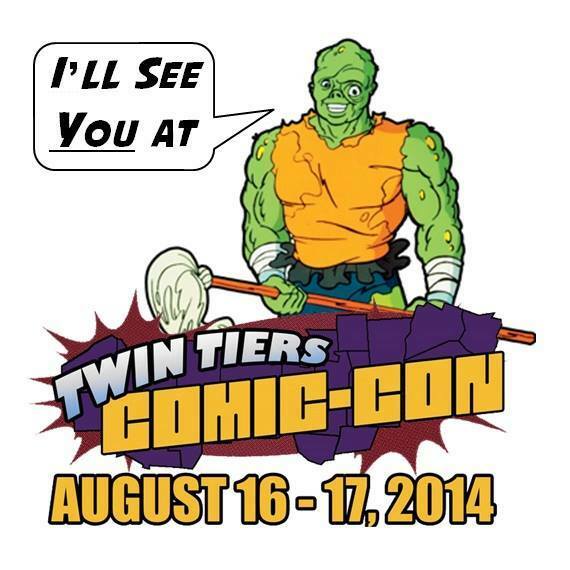 Legendary Director Lloyd Kaufman to Attend Twin Tiers Comic Con – “Return to Nuke ‘Em High: Vol. 1” Premieres in Elmira Heights August 15th at the Heights Theater! Troma Entertainment is proud to announce that Lloyd Kaufman has been invited as the Guest of Honor to the Twin Tiers Comic-Con on August 16th and 17th in celebration of Troma’s 40th Anniversary. However kicking off the T2 Comic Con on Friday Night August 15th will be the Elmira Heights, New York Premiere of Kaufman’s latest Tro-Masterpiece “Return to Nuke ‘Em High: Vol. 1” at Elmira Heights Theater! The Doors open at 7pm, the Premiere starts at 8pm. Troma President and creator of the “Toxic Avenger,” Lloyd Kaufman will be in attendance to unveil his sistine chapel film to Elmira Heights audiences for the first time! He will also participate in a crowd-interactive Q & A after the Premiere and will be available for an Exclusive Meet & Greet. with FREE Photo Opportunities and Signings on all of your favorite Tromabilia at the Troma table. TICKETS ARE ON SALE NOW for $10, and will be $12 on the day of the show! You can pre-order yours here! 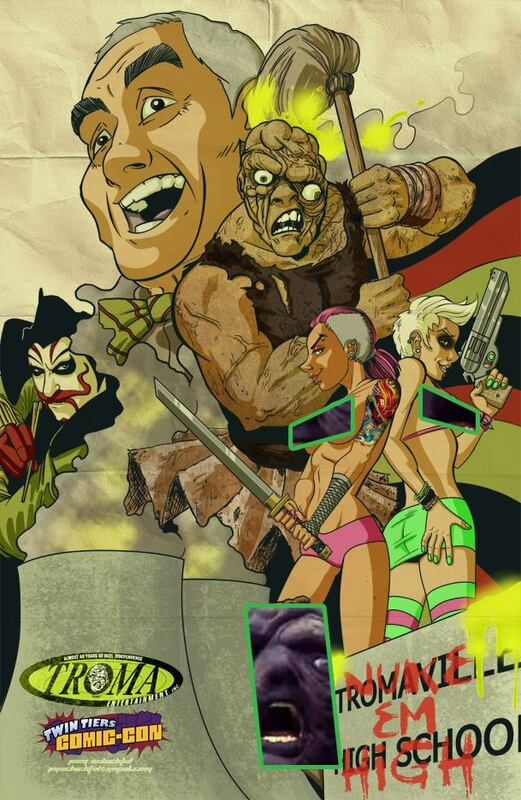 As an added bonus – Everyone who pre-orders their ticket gets this FREE Exclusive Troma Art Print by artist Joey Schichtel! Having made it’s World Premiere at the Cannes Film Festival, been selected by the Museum of Modern Art for their prestigious 2013 “Contenders” series, and been honored by the world-renowned American Cinematheque, “Return to Nuke ‘Em High: Vol. 1” continues to premiere across the world picking up critical acclaim along the way. 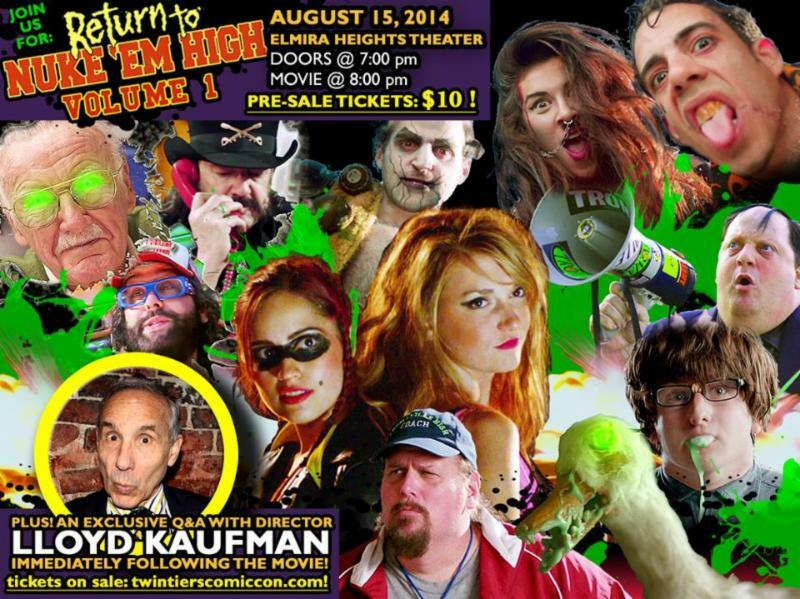 Come out and celebrate Troma’s 40th Anniversary at the Twin Tiers Comic Con and get ready to Return to Nuke ‘Em High! This entry was posted on Thursday, August 7th, 2014 at 3:50 pm	and is filed under Events. You can follow any responses to this entry through the RSS 2.0 feed. You can leave a response, or trackback from your own site. You are here : Home » events » 2014 » 08 » 07 » The Twin Tiers Gets Tromatized! Legendary Director Lloyd Kaufman to Attend Twin Tiers Comic Con – “Return to Nuke ‘Em High: Vol. 1” Premieres in Elmira Heights August 15th at the Heights Theater!